In Northern Illinois winter and summer are usually only connected by a few weeks of a spring-like season. This is the period we take advantage of local day-trips that we kept putting off during the winter. 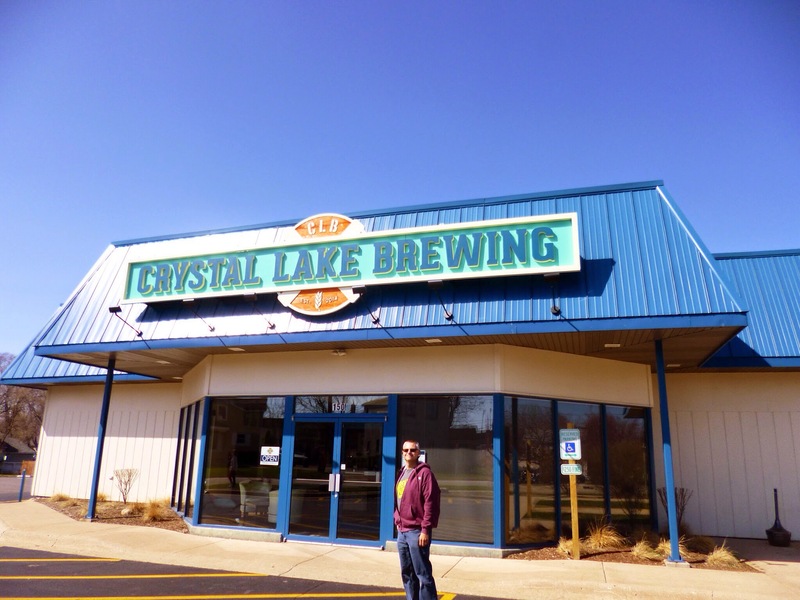 So far we have fit in a trip to Chicago (highlights in another post) and visits to three breweries we have never visited before. 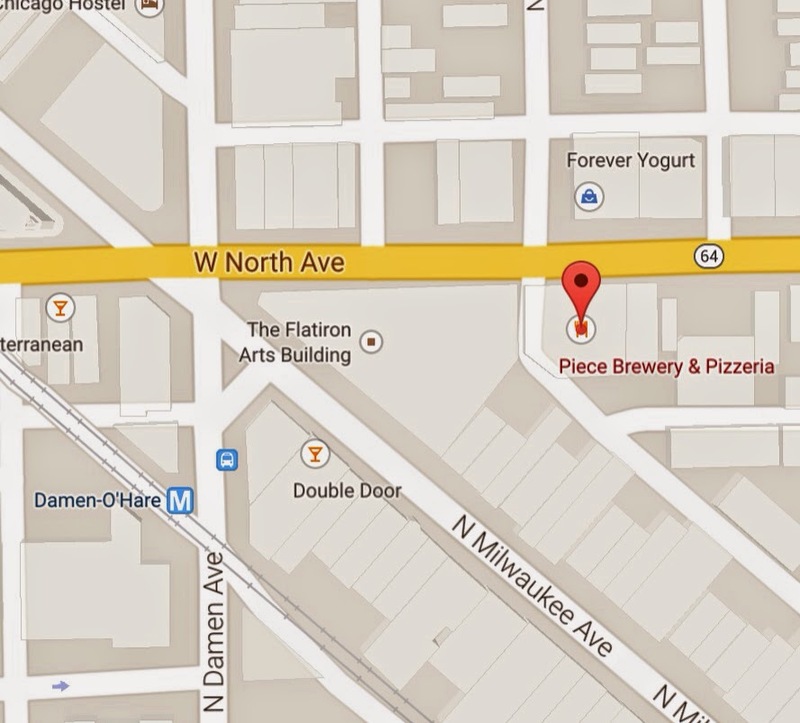 Piece in Chicago has been on our radar for years, but because of its location we never made the effort to get there. 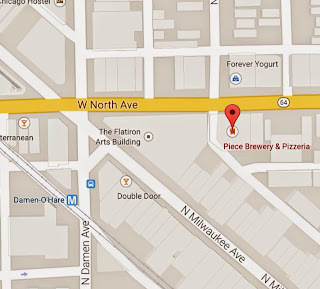 It's in a nice trendy neighborhood, but the nearby crazy intersection where three major roads intersect makes navigating the area nuts. Our adventures in parking proved once again why we can't go on The Amazing Race together. Piece is doing many things right. Their bar felt like places we used to frequent in college: comfortable and slightly dilapidated. For some reason they were playing an entire album of Run DMC songs. After settling in we got to look over the beer menu which featured about 6-8 of their own brews on tap, a few guest taps, and many bottles. The house brews are mostly session beers and cover the ranges from hoppy/malty. We enjoyed their stout, kolsch, and dunkelweizen. Our server was great and helped us make the right decision in picking the perfect size and style of pizza. As much as we are beer and brewery fans, the true star of Piece is the New Haven style of pizza. Being from the East Coast we have a hard time finding pizza we truly enjoy in this part of the country. Tavern style thin crust and pan/deep dish is all the rage in Chicago, but we don't prefer those types to New York (or now New Haven) Style. We choose one small New Haven pie with sausage (no mozzarella, but parmesan and garlic instead) and a small white pie with mashed potatoes and bacon. Best pizza we have had in a long time. The ingredients were fresh and the crust was chewy with a bit of char. We did not miss the mozzarella on the sausage pie. Ordering two smalls ensured we had leftovers! Scorched Earth in the northwest suburb of Algonquin. Scorched Earth is located in a small industrial park near a creek branching off the Fox River. They don't do food, but invite you to bring in your own. The space they occupy is divided into two sections by a rail separating the brewing area from the tap room. At the time of our visit nobody was working in the brewing section. 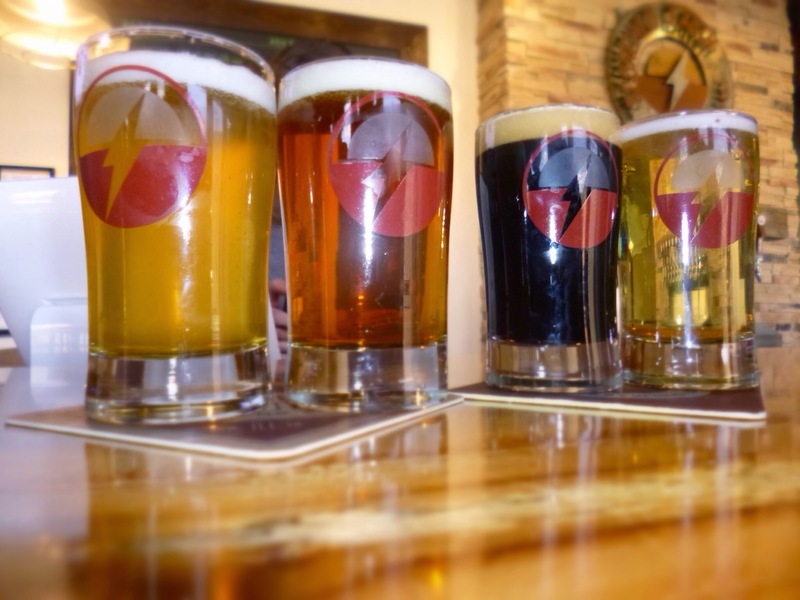 The taproom decor is a mix of industrial-modern with some natural elements thrown in. Pleasant! had 11 beers to choose from. We found anything labeled hoppy was in fact a bit hoppy for our tastes, but still you could tell they were quality-made products. The clear winners here for us were the Hickster, Rugged Coalminer, Der Sommer, and The Bitter Choclatier. While enjoying our beers we got into a long conversation with a father and his 22 yr old son about beers and breweries. Our tastes could not be any farther from each other, which shows that craft beer is truly a diverse industry. Anyone can find a beer they will love. Bonus: After visiting Scorched Earth we had lunch at Duke's Ale House, a beer-focused pub, in Crystal Lake. 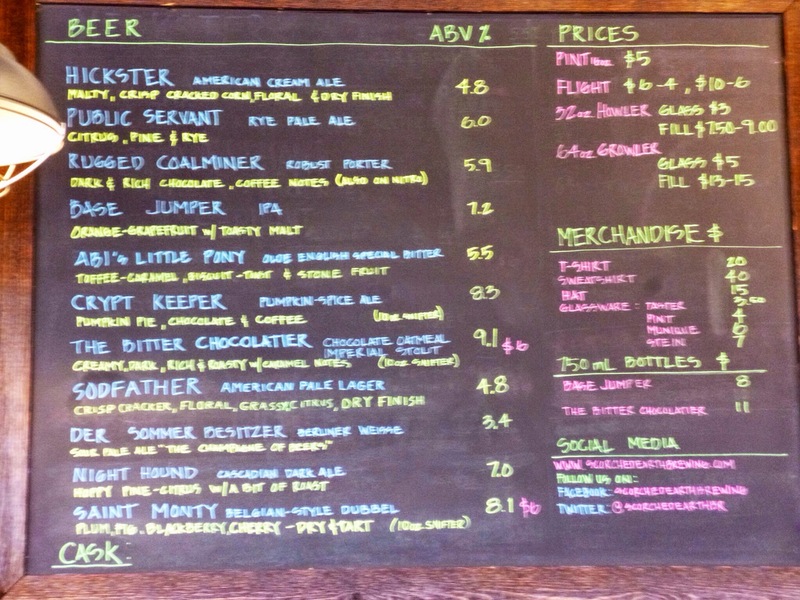 Nice beer list (but they needed a few more stouts) including a good selection from Chicagoland. The food was the star here.....Holly had her first burger topped with a fried egg and Dave tried fries topped with cheese and BBQ Pork. 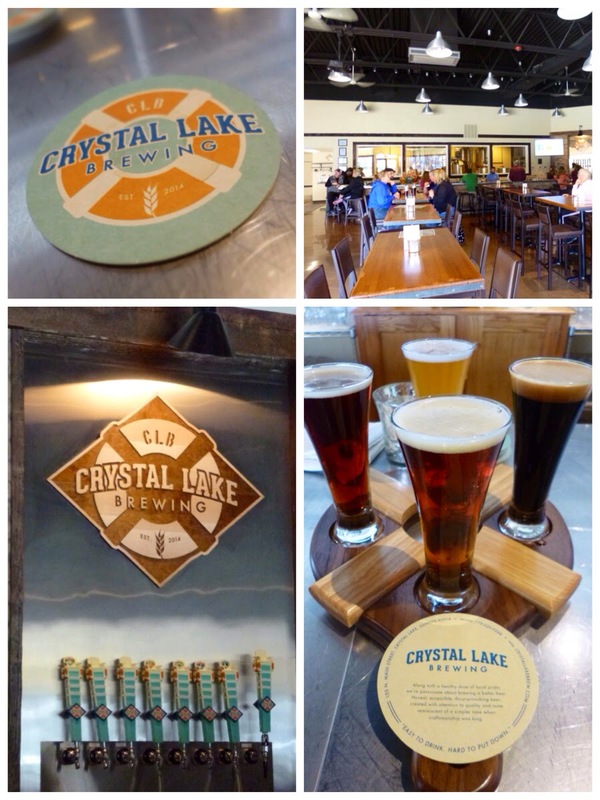 Crystal Lake Brewing was the last stop on this tour. They were a short block away from Duke's so we reccomend parking once and visit both. CLB took over a stand-alone retail location in town, which makes it a bit more accessible to the general public vs. Scorched Earth which is tucked away in a corporate park. 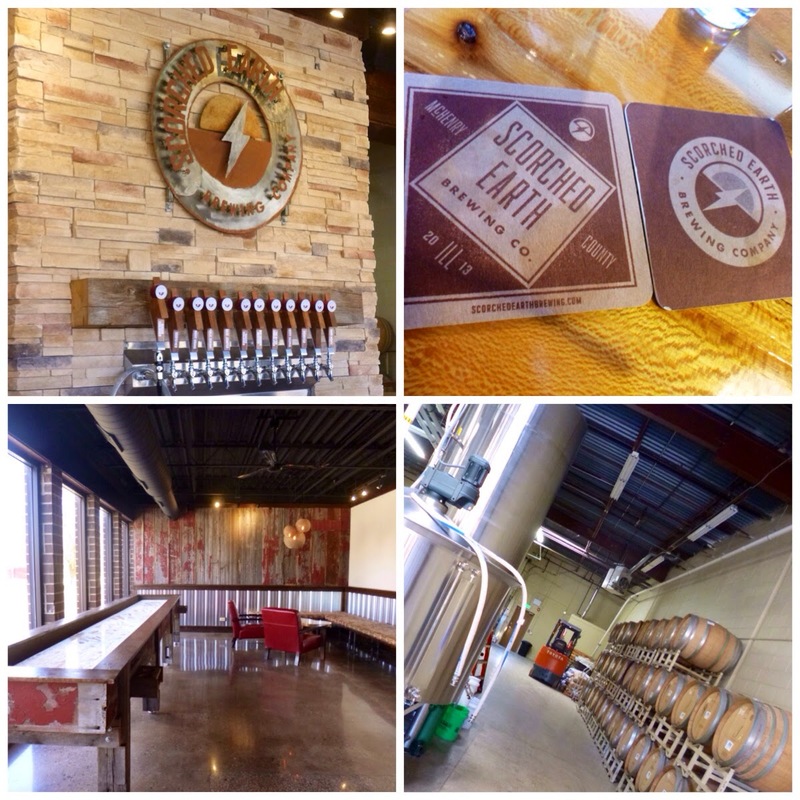 The taproom was a large open space with a lot of communal tables and a long bar. While there we noticed a family gathering with 3 or 4 generations in attendance. Food is not available in the taproom, but BYO is welcomed. 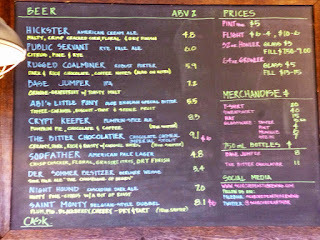 Eight beers were on tap that day and we sampled the blonde, hefeweizen, doppelbock, oatmeal stout, and marzen. Nothing really stood out to us. They all seemed very neutral within their styles. We didn't hate them or think they were made poorly, just overall neutral. They do get bonus points for the lifeguard chair inspired tap handles and life preserver flight tray. 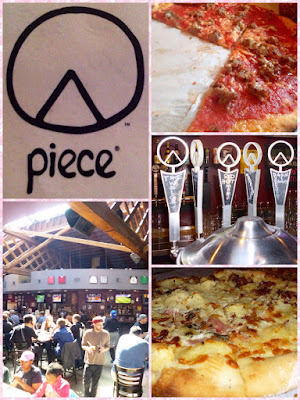 Piece - Must go back to for the pizza alone. The beer is icing on the cake. Scorched Earth - Would visit if in the area and would choose certain product if available at a local bar. Too far for a stand-alone trip. 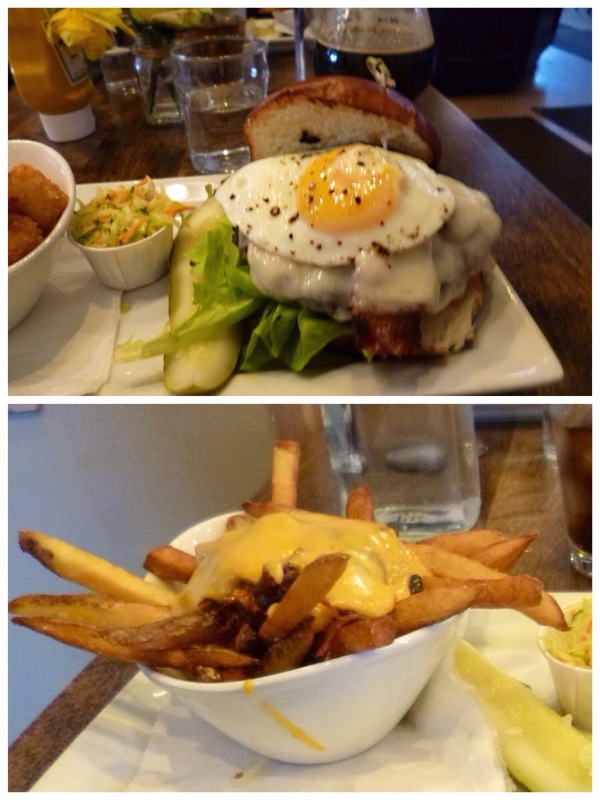 Duke's - Would visit again if in the area - best burger we'd had in a while. Crystal Lake - Would visit Duke's down the road before returning to CLB, unless they had an event like a tap takeover.